Rosemary & Co are hosting a 3 day Still-Life Botanical workshop in Oils. 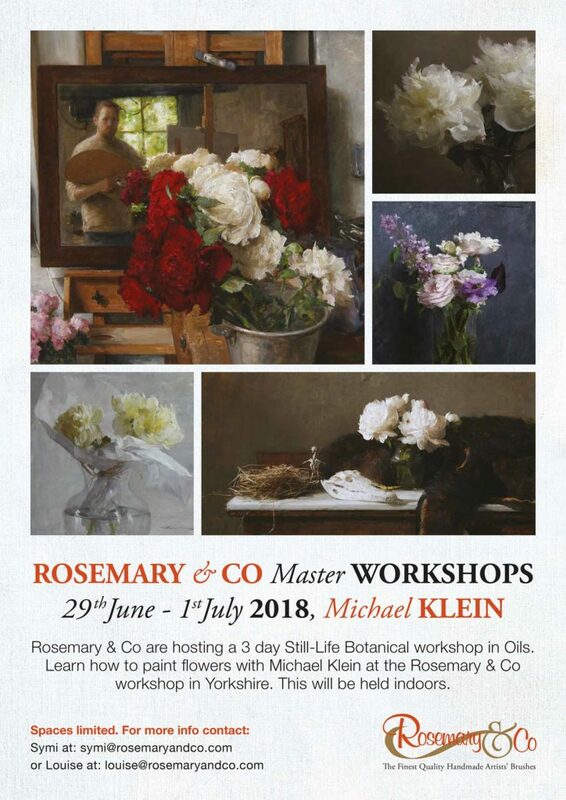 Learn how to paint flowers with Michael Klein at the Rosemary & Co workshop in Yorkshire. This will be held indoors.